Consumers Credit Union (CCU) has a Free Rewards Checking account that offers a high interest rate between 3.09% and 4.59% APY if you meet certain requirements. As with similar accounts elsewhere, the catch is if you don’t jump through all of the hoops, you effectively won’t earn any interest at all that month (0.01% APY). As of February 1st, 2016, their rates, balance tiers, and requirements were changed. Let’s take a closer look at the new structure. Join the Consumers Cooperative Association with a one-time $5 fee. Open and maintain a share savings account with a minimum $5 deposit. Complete at least 12 Debit/Check Card point-of-sale purchases (transactions must be made without using your personal identification number [PIN] to count toward the minimum of 12 and must post and clear your account on or before the last day of the calendar month). In stores, select to run it as a “credit” purchase. At least one of the following transactions must post and clear on or before the last day of the calendar month: direct deposit OR ACH debit OR electronic bill payment via CCU’s Free Online Bill Pay. A nice feature is that their online interface has a progress tracker, updated daily, telling you number of debit card transaction and the total spend on your CCU credit card. No minimum balance. No monthly service fees. Mobile check deposit via smartphone app. 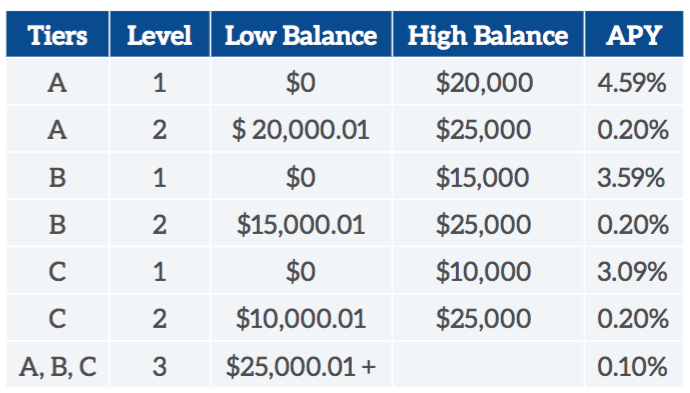 Note that each tier has it’s own specific APY and balance limitations. Here is a table that shows the APY if you exceed the high-interest balance limits. If you don’t have a CCU credit card, the best you can do is the 3.09% APY tier. Here is a list of their credit cards. It looks like the best one is their Visa Signature Cash Rebate Card, which offers a 3% cash rebate on up to $6,000 in “Grocery/Convenience Store” purchases annually, 2% cash rebate for “Gas” purchases, and 1% cash rebate for all other purchases. No annual fee. As a benchmark, I choose a “no hassle” high-yield savings account which would roughly yield 1% APY. You could also use a certificate of deposit, but a rewards checking account is liquid with no early withdrawal penalties. $10,000 times 3.09% APY would be $309 per year, or $25.75 per month in interest. $10,000 times 1.00% APY would be $100 per year, or $8.33 per month in interest. $15,000 times 3.59% APY would be $538.50 per year, or $44.88 per month in interest. $15,000 times 1.00% APY would be $200 per year, or $16.67 per month in interest. $20,000 times 4.59% APY would be $918 per year, or $76.50 per month in interest. $20,000 times 1.00% APY would be $300 per year, or $25 per month in interest. The 3.09% APY tier would be an increase of $17.42 per month over 1% APY, in exchange for tracking 12 debit card purchases a month. If you keep those debit purchases small, then you’d come out ahead by about $200 per year. The 3.59% APY tier would be an increase of $28.21 per month over 1% APY, in exchange for tracking 12 debit card purchases a month $500 in credit card purchases. Let’s say you could earn 2% cash back on credit card purchases elsewhere, but only 1% on a CCU credit card. That is a loss of $5 in (non-taxable) rewards per month, for a net increase of $23.21 per month ($278 per year). The 4.59% APY tier would be an increase of $51.50 per month over 1% APY, in exchange for tracking 12 debit card purchases a month $1,000 in credit card purchases. Let’s say you could earn 2% cash back on credit card purchases elsewhere, but only 1% on a CCU credit card. That is a loss of $10 in (non-taxable) rewards per month, for a net increase of $41.50 per month ($498 per year). To qualify for the 3.59% APY and 4.59% APY tiers, you’d also have to apply for a new credit card, which would entail a credit check. There is an opportunity cost here, as there are other new credit cards that offer $400 or $500 in sign-up incentives within a few months. You can apply for multiple new credit cards, but once you reach a certain number it will hurt your chances for getting the next one. My thoughts. 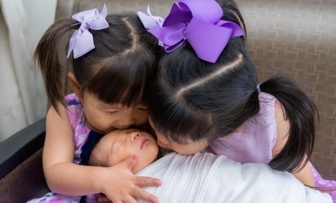 These types of checking accounts are not for everyone. Not only do you have to jump through hoops each month to get a reward (higher interest than no-hassle account), if you don’t you’ll actually get punished in a way (lower interest than a no-hassle account). Try to create a reliable system where you satisfy the requirements early on in the month, for example putting some automatic insurance, phone, or utility bills on the credit card. 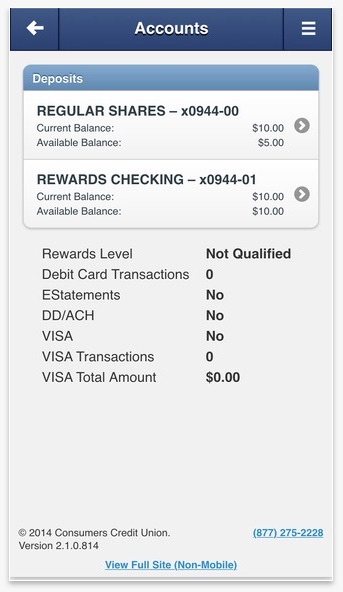 My favorite feature is their qualification tracking; I wish all rewards checking accounts had this feature. To justify the opportunity cost of getting a new credit card, you should definitely try to reach the 4.59% APY tier. The changes have made the middle 3.59% APY tier much less attractive than before. Otherwise, the debit card-only 3.09% APY tier isn’t bad for more modest balances. Keep in mind that there is no longer any guarantee on how long these rates will last. The positive spin would be that CCU has been running a rewards checking account now for well over 5 years, so hopefully they have crunched the numbers and set the rates at sustainable levels.